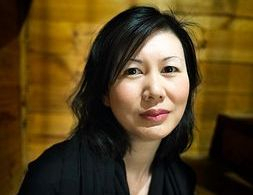 Dr Tammy Wong Hulbert is an artist, curator and academic based in Melbourne, Australia. Born in Sydney to Cantonese Chinese parents, from a young age she developed a passion for the arts. Her art practice has a particular interest in the complicated, multi-layered and often fragmented space between cultures, making the seemingly invisible visible. Her art making is influenced by her families intergenerational migratory connection to Australia since 1900, being between cultural spaces. In the years 2000-2, she lived and worked in Beijing, China, working with the notorious Chinese contemporary art community. This experience had a profound impact on her own outlook towards contemporary art practices encouraging an interest in art practices that are more open ended and expressive of social concerns. Her recent works have often involved a socially engaged practice working with various urban communities, in particular addressing issues of migration, belonging and the role of art in encouraging an inclusive city. As a curator, she has worked with a wide range of Australian, Chinese and Asian contemporary artists in Sydney, Melbourne, Beijing, Shanghai and Suzhou, China in galleries and urban public spaces. In her curatorial projects she is interested in bridging the gap between Australia and Asia through the creation of dialogue in relation to these diverse regions. In 2011 she completed her PhD researching The City as a Curated Space at RMIT University, investigating how the urban condition has an impact on the way artists and urban communities are able to engage with these environments, offering an alternative model of exhibition to the traditional museology. Tammy has taught at both undergraduate and postgraduate levels in fine arts, art history and arts and cultural management in Melbourne and Hong Kong at RMIT University and the University of Melbourne. She is currently a Lecturer of Curating Contemporary Art, Masters of Arts (Arts Management), School of Art, RMIT University.